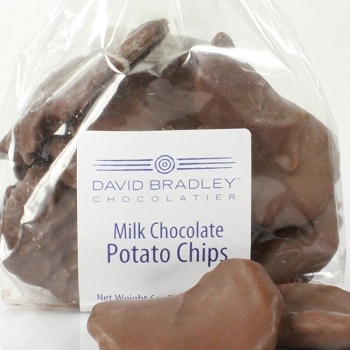 Crisp, fresh, salted potato chips in rich David Bradley Chocolate make for an unusual and delicious flavor combination. Available in a 6oz. Snack Bag or a One Pound Gift Box. I cant just have one! Every time I stop at David Bradley I just have to pick up the gift box. DELISCIOUS! My family just loves these special treats. They are crispy and not soft or stale everything we buy here is always fresh. I had visited your factory for the first time today. What a pleasure !! The staff was very friendly and prepared to answer all of my questions. I purchased your dark chocolate covered potato chips and they were EXCELLANT !! I have tried them from other shops in the area but the quality of your chocolate is outstanding...my family will be back ! These are great! 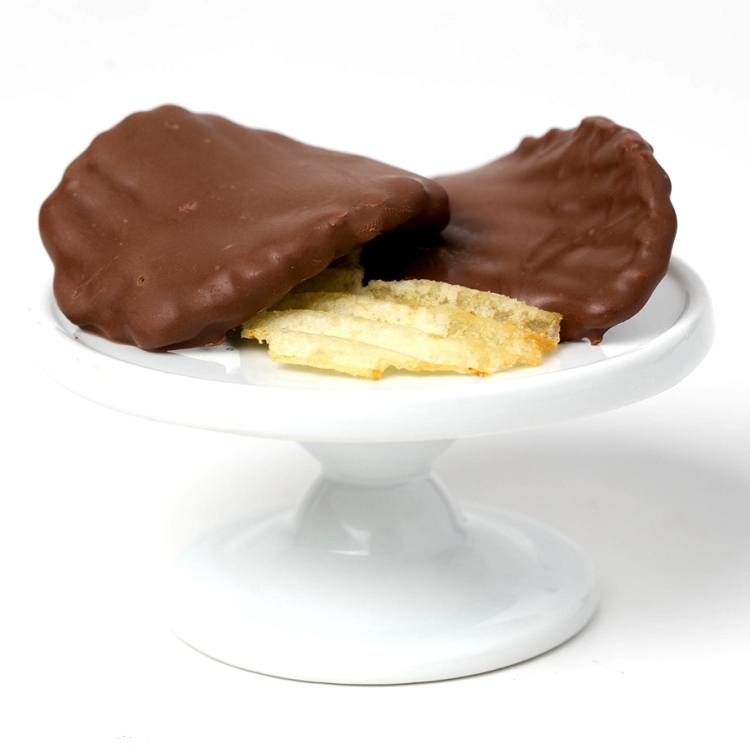 Crunchy chip inside a thick layer of milk chocolate. Definitely my favorite at the store! Always pick up a bag when we go! These are my husbands two favorite snacks. Together, well, they are just heaven for him! These are the most delicious items ever!!!! Salt and chocolate - perfect combination. Highly recommend...you'll never be disappointed!!! I've gotten them in both milk and dark. DELICIOUS!!!!! 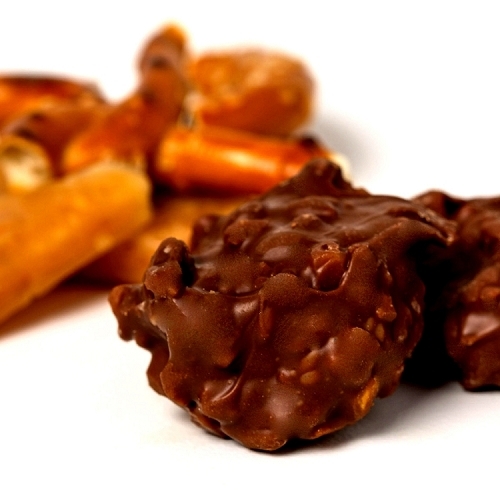 It doesn't get any better than this...sweet, salty, crunchy,chocolate-y....Mmmmmm!